Leo Heras does not have any MLB stats for the season. October 9, 2018 CF Leo Heras assigned to Yaquis de Obregon. July 31, 2018 Leones de Yucatan activated CF Leo Heras. July 13, 2018 Leones de Yucatan placed CF Leo Heras on the reserve list. March 22, 2018 Leones de Yucatan activated CF Leo Heras. February 12, 2018 Acereros del Norte traded CF Leo Heras to Leones de Yucatan. January 1, 2018 OF Leo Heras loaned to Mayos de Navojoa from Yaquis de Obregon. December 13, 2017 Leones de Yucatan traded CF Leo Heras to Acereros del Norte. December 5, 2017 Yaquis de Obregon activated OF Leo Heras. December 1, 2017 Yaquis de Obregon placed OF Leo Heras on the reserve list. October 18, 2017 OF Leo Heras assigned to Yaquis de Obregon. March 18, 2017 Leones de Yucatan traded RHP Fredy Quintero and DH Luis Alfonso Garcia to Diablos Rojos del Mexico for CF Leo Heras. January 10, 2017 Aguilas de Mexicali placed OF Leo Heras on the reserve list. December 31, 2016 OF Leo Heras transferred to Aguilas de Mexicali from Yaquis de Obregon. August 2, 2016 Diablos Rojos del Mexico activated RF Leo Heras. July 14, 2016 Diablos Rojos del Mexico placed LF Leo Heras on the reserve list. April 17, 2016 LF Leo Heras loaned to Diablos Rojos del Mexico from Fresno Grizzlies. April 5, 2016 LF Leo Heras assigned to Fresno Grizzlies from Corpus Christi Hooks. 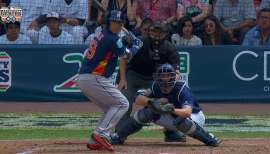 March 22, 2016 OF Leo Heras assigned to Houston Astros. December 8, 2015 OF Leo Heras assigned to Yaquis de Obregon. December 3, 2015 Charros de Jalisco placed OF Leo Heras on the reserve list. October 7, 2015 OF Leo Heras assigned to Charros de Jalisco. August 11, 2015 LF Leo Heras assigned to Corpus Christi Hooks from Fresno Grizzlies. August 6, 2015 Fresno Grizzlies activated LF Leo Heras from the 7-day disabled list. July 30, 2015 Fresno Grizzlies placed LF Leo Heras on the 7-day disabled list. July 20, 2015 LF Leo Heras assigned to Fresno Grizzlies from Corpus Christi Hooks. July 13, 2015 Corpus Christi Hooks activated LF Leo Heras from the 7-day disabled list. July 6, 2015 Corpus Christi Hooks placed LF Leo Heras on the 7-day disabled list. March 16, 2015 LF Leo Heras assigned to Houston Astros. July 26, 2014 Corpus Christi Hooks activated LF Leo Heras from the 7-day disabled list. July 19, 2014 Corpus Christi Hooks placed LF Leo Heras on the 7-day disabled list retroactive to July 16, 2014. May 14, 2014 Corpus Christi Hooks activated LF Leo Heras from the 7-day disabled list. May 3, 2014 Corpus Christi Hooks placed LF Leo Heras on the 7-day disabled list. 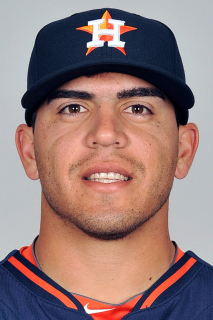 January 14, 2014 Houston Astros invited non-roster LF Leo Heras to spring training. October 27, 2013 OF Leo Heras assigned to Algodoneros de Guasave. August 23, 2013 LF Leo Heras assigned to Corpus Christi Hooks. 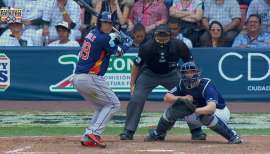 August 18, 2013 Diablos Rojos del Mexico traded 1B Japhet Amador and OF Leo Heras to Houston Astros. July 3, 2013 Leo Heras roster status changed by Diablos Rojos del Mexico. June 22, 2013 Diablos Rojos del Mexico placed OF Leo Heras on the reserve list. March 20, 2013 Diablos Rojos del Mexico signed free agent OF Leo Heras. February 15, 2013 San Diego Padres signed free agent CF Leo Heras to a minor league contract. November 1, 2012 CF Leo Heras elected free agency. March 11, 2011 Diablos Rojos del Mexico signed CF Leo Heras. February 1, 2011 OF Leo Heras assigned to Mexico. December 31, 2010 CF Leo Heras elected free agency. July 13, 2010 Broncos de Reynosa placed CF Leo Heras on the reserve list. June 29, 2010 Broncos de Reynosa activated CF Leo Heras. June 23, 2010 Broncos de Reynosa placed CF Leo Heras on the reserve list. October 6, 2009 OF Leo Heras assigned to Algodoneros de Guasave.